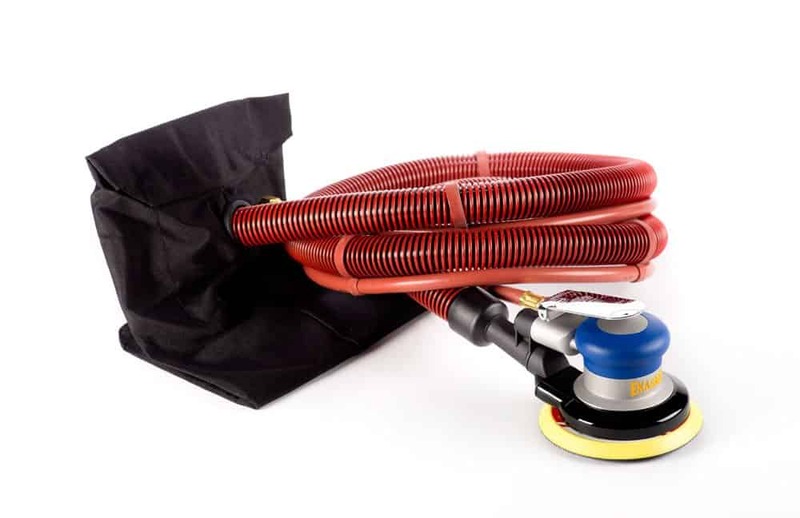 The self generating sander is supplied with the hose and bags for dust collection. The air inlet is 1/4” National Pipe Thread. All sanders are available with a vinyl face pad for use with PSA (sticky back) or a Uneevel (hook & loop) pad.